In addition to the products you'll find here at our main store, we've created an RV specialty store for a more focused shopping experience. 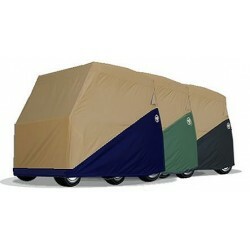 Please visit our watercraft and boating specialty store for marine covers and more. One touch plays any of the 34-pre-programmed songs. The Model 336 was designed to work like a piano keyboard. A music book is included so that the user can program one additional song, choose from hundreds of popular songs in seconds: college, children’s, holiday, patriotic songs and more. The control panel features a volume control to adjust the sound level. The BAD BOY CHROME has all the same features, as the original BAD BOY with beautiful bright chrome plated finish, a step-up letting the vehicle or motorcycle stand out. The diaphrams have a flat shaped chrome cover and Wolo has added a chrome cover to the top of the compressor. Both covers are aerodynamically shaped, making the BAD BOY CHROME a great choice to dress-up any engine compartment as well as the exterior mount on a motorcycle. 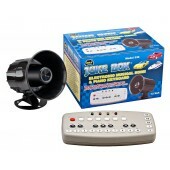 Produces a powerful dual tone air horn sound that is two times 2X louder than a factory horn. 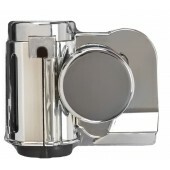 BAD BOY CHROME is compact in size and is ideal for any 12-volt vehicle. The patented one piece design makes installation easy and will provide the vehicle owner a powerful dual tone air horn sound. They will hear you before they can see you. Built with a Heavy-duty maintenance free compressor that will provide years of dependable service. Kit includes a heavy-duty 30-amp relay, mounting bolt and instructions in English / Spanish. The Original Atrium Full Forklift Cab Enclosure. This is a perfect item for those foul weather days in or out of the warehouse. 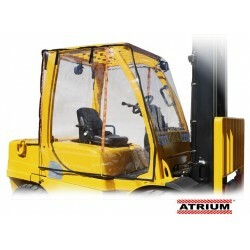 The Atrium attaches in seconds to any forklift. Zippered doors can be shut or unzipped and folded back into place while working. Perfect for those rainy days so you can still work warm and dry! Great for the yard and warehouse. The SMC-600 hitch mounted motorcycle carrier is easier to use and store than a trailer. Designed to transport motorcycles up to 600 lbs on a 2-inch Class III or greater hitch receiver. 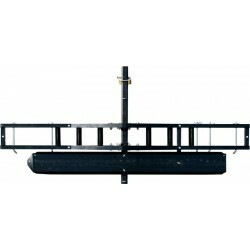 The carrier features an extra-wide 8-inch platform and an extra-long 72-inch loading ramp for easy loading and unloading. An integrated wheel chock holds the bike upright to make fastening tie-downs easier and for greater front wheel stability. Durable, yet lightweight, the carrier frame is constructed of black powder coated steel while the carrier track is constructed of aluminum. The included anti-tilt device keeps the carrier stable. 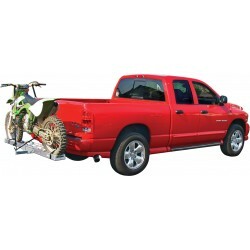 Easily transport a dirt bike or a scooter without a trailer using the MX-600X heavy duty hitch mounted carrier. The MX-600X carrier is constructed of steel and has a black powder coat finish for protection. Fits 2-inch Class III or greater hitch receivers for safely transporting up to 600 pounds. Included with this carrier is a 5-foot long loading ramp which attaches to the carrier when not in use. The carrier features integrated loops for tie-down straps and removable pins to adjust the size of the front wheel channel from 8 inches to 12 inches for either a scooter or dirt bike. Also included is a reverse anti-tilt device and pinch bolt to eliminate carrier wobble. 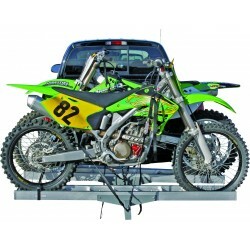 Load up and haul two dirt bikes with a hitch mounted double motorcycle carrier. The AMC-600-2 is constructed of aluminum with a steel powder coated main hitch tube for added support. An integrated loading ramp is used to add or remove bikes. When the loading ramp is not in use, it secures to the carrier for transport. The carrier includes a reverse anti-tilt device for extra stability and works with 2-inch hitch receivers. 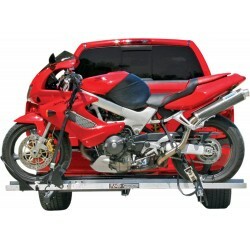 The AMC-400 hitch mounted motorcycle carrier slides right into a 2-inch receiver hitch, making it possible to transport a motorcycle without a trailer. 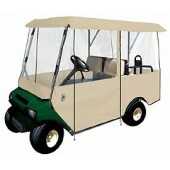 Built with a 400-pound carrying capacity, the aluminum design is strong, lightweight, and economical. Included is a 45-1/2 inch aluminum loading ramp and our fool-proof anti-tilt locking device to prevent sway of the carrier when it is loaded. The rugged surface has a 16-inch opening for the front tire to simply drop into and included attaching points to tie down the bike with straps. These ramps are built with the consumer in mind. Innovative quality, ease of use, and compact size. Each ramp is 12 inches wide and folds to half its length for compact storage in your truck bed, truck cab, or under your quad. SF series ramps consist of all-aluminum construction for years of rust-free use. 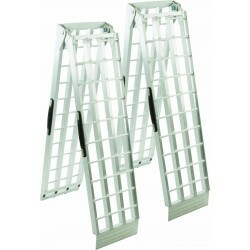 The convenient carrying handle make transporting and storage of the ramps a snap. With the slight built-in arch and 90 inches of length, you will be able to load a 4-wheeler into all 2-wheel drive and most standard height 4×4 trucks.